Peas kachodi is an absolutely delicious & one of the best known Bengali recipe. 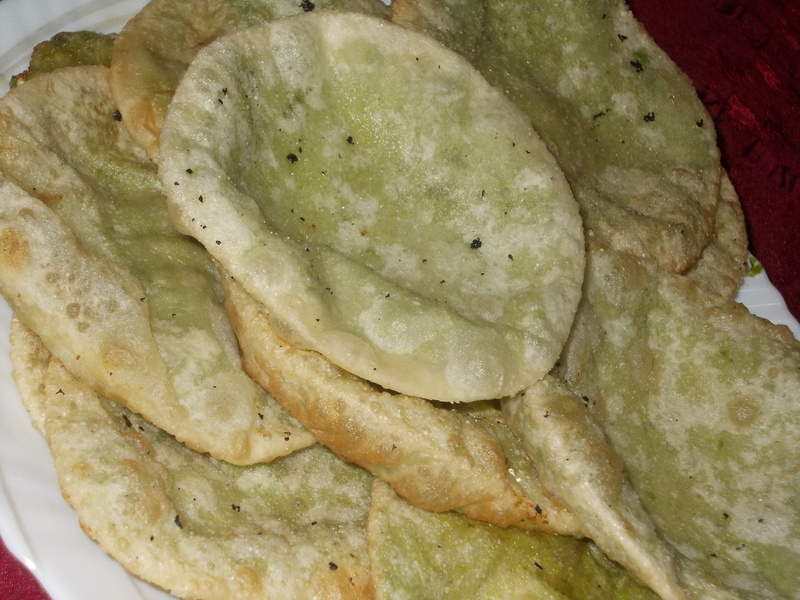 It is prepared with the combination of flour & green peas. Make a soft dough with flour, salt, 1 tbsp of oil & hot water. Make small balls out of the dough & keep aside. Grind green peas & green chilli. Add black cumin seeds, green peas paste & stir continuously. Add salt, sugar, ginger paste & cumin powder & cook until oil releases. Fill the small dough balls with peas filling & roll out them in round shape.